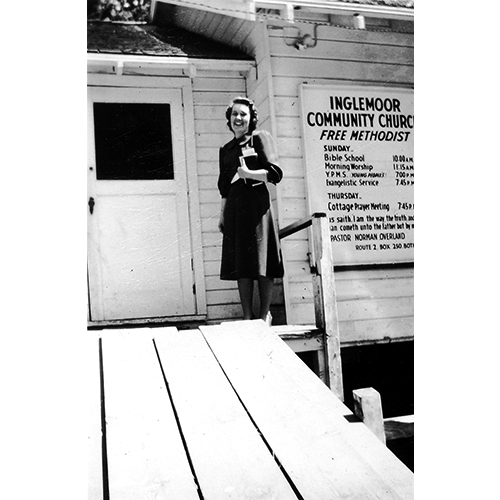 A simple frame building, once the Moorlands Community Club building on NE 166th Street, became Inglemoor Community Church in 1946. An early worshipper waits to greet congregation members. Photo courtesy of Norman Overland.